Dr. Nguyen was raised in Montgomery County, PA. He attended Temple University where he graduated with a Bachelor of Science degree in Biochemistry. He attended Temple University School of Dentistry where he earned his Doctor of Dental Medicine degree in 2006, receiving a full scholarship from the U.S. Army. Dr. Nguyen served in the U.S. Army at Bayne Jones Army Community Hospital in Louisiana for three years. He was honorably discharged in 2009 after serving a six month tour in Iraq. Since his return to Pennsylvania, he as practiced general and family dentistry including restorative, cosmetic, implant placement/restoration, oral surgery, prosthodontics, and endodontics. 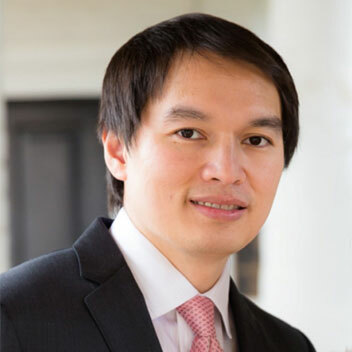 Dr. Nguyen is an active member of the Academy of General Dentistry and the American Dental Association. He volunteers his time to Veteran’s Appreciation Day, Operation Smile, and military screenings. Dr. Nguyen enjoys spending time with his wife. They both enjoy running, cooking, and have a shared interest in the arts.